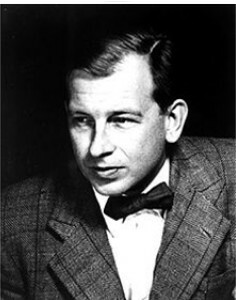 Finnish-born Saarinen was the son of famed architect Eliel Saarinen and immigrated to the United States with his family in 1923. Eero Saarinen began as a student of sculpture; this profoundly influenced his architecture, which broke with the severe rectilinear lines of the prevailing International School and introduced sweeping curves and a sense of dynamic, organic motion. His masterpiece may well be the controversial Trans World Airlines (TWA) terminal at John F. Kennedy International Airport, New York City (1956– 1962).